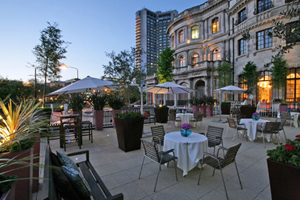 The Westminster Collection has expanded its portfolio of London meeting and events venues to 33 after signing up No. 4 Hamilton Place as a member. The Mayfair property, which is also the headquarters of the Royal Aeronautical Society, offers indoor space for conferences and banqueting, plus a roof terrace for summer events. The chief operating officer of No. 4 Hamilton Place is Jonathan Byrne, who was commercial director of the Queen Elizabeth II Conference Centre (QEIICC) before leaving earlier this year. Byrne said: "As a previous member and director of The Westminster Collection when I was at QEIICC, I know how well this is run and performs, having also been instrumental in its progressive and successful development since it became formally constituted." The Westminster Collection chief executive Rene Dee said: "This venue is a further striking example of what Westminster has to offer to the business tourism buyer." In addition to QEIICC, other members of The Westminster Collection include Church House Conference Centre, Royal Horticultural Halls & Conference Centre, Goring Hotel and One Queen Anne's Gate.